The term cottage pie is known to have been in use since 1791, when the potato was being introduced as an edible crop affordable for the poor. However, it is so only when beef is used in the dish. 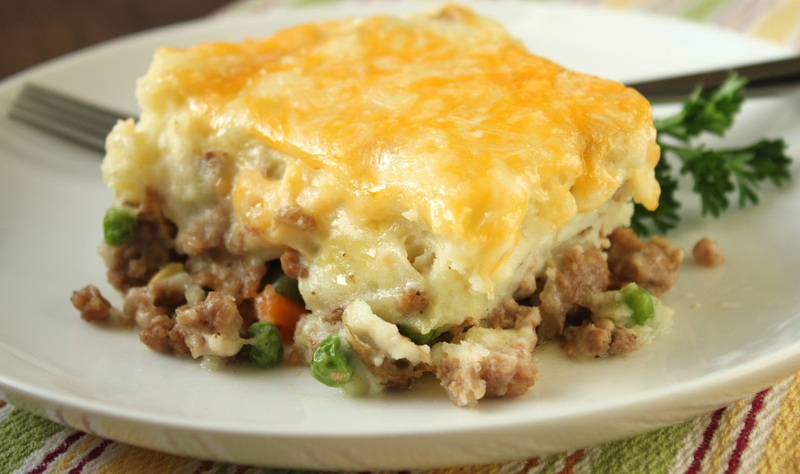 The usage of lamb or mutton is known as shepherd’s pie, as, during the earlier times, the left over pieces of meat which the shepherd gathered and minced together made up this delicious pie, hence being termed as Shepherd’s Pie. This dish is a beautiful meal for two, served with toasted garlic bread and a simple side salad. Perfect to warm up your spirit this new years’ eve! A tried and tested recipe which works even in your sleep! In a medium sized pan heat a little vegetable oil and fry off the minced lamb or beef until it is a little brown in colour, or as chefs would say caramelised. Its basically getting the natural sugars within the meat to melt down and create a crust on the outside sealing the moisture inside. While doing this if you notice the meat releasing some of it juices spoon it into a cup and use it later in the dish. Once browned take it off the heat and onto a plate, set aside. In the same pan add a tsp of butter and vegetable oil, reason being we don’t want our butter to burn quickly, add the onions and cook slowly till light brown, then add in the garlic and cook further. Add the carrot and cook for another 2 minutes. Add the mince back into the pan and stir before add the ginger garlic paste. Cook for another 2 minutes. And add the nut meg and cinnamon and oregano. Stir once again and add the sauces and blended tomato. Let the tomato cook until the mixture is almost dry and finally add the stock and let it simmer until its has become a little thicker but still has some gravy. This should take 10-15 mins on a medium high gas. Season with salt and pepper only once it is thickened to the desired consistency. Place the potatoes in a pot of room temperature water and bring to a boil. once boiled, peel the potatoes and mash them with the nut meg powder, butter and milk while still hot. Add the grated parmesan cheese and season appropriately. 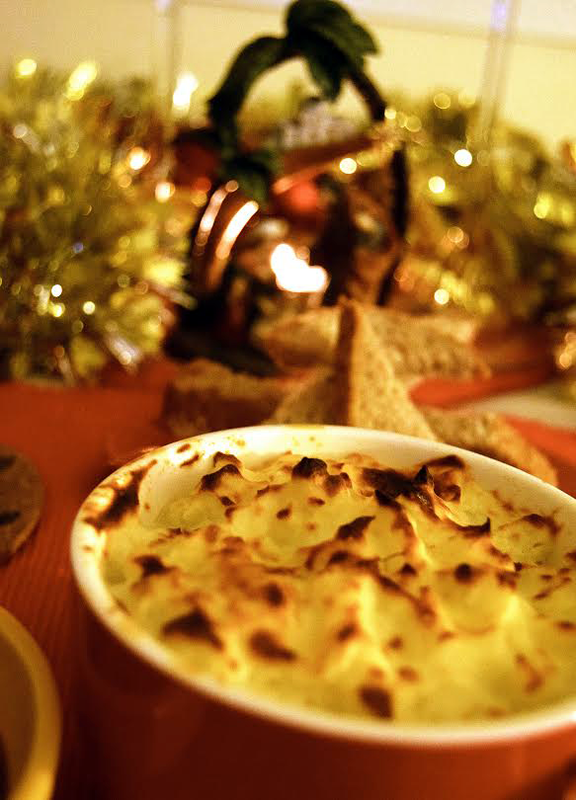 Once the mince and potato are ready assemble in a baking dish with meat on the bottom and the potato on the top. Give egg wash to the potato top and put into a pre heated oven at 180 degrees for 25 mins or so. You know its ready when the top is golden brown and its seems like its set. Give it a go and wishing you all a happy new year!